A stroke occurs when a clot blocks blood flow to an area of the brain, resulting in death of brain cells and damage to the brain. This can result in a variety of symptoms. These can range from weakness and altered sensation to paralysis and complete loss of sensation. While traditional medicine helps in the immediate management of patients and prevents further injury, the best way for a patient to regain independence and quality of life is progressive, supervised exercise under the guidance of a licensed physical therapist. Physical therapists can help a stroke patient to learn or restore movement patterns essential for day-to-day activities. In addition to motion, a therapist can help improve muscle control, regain balance and stability and boost confidence. 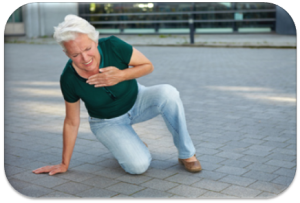 A therapist will also help a stroke patient avoid exercises and activities that can be potentially harmful, while creating a safe home environment conducive to rapid recovery. 1 – The programming of new movement patterns – Physical therapists will encourage patients to perform both active and passive movements with the upper and lower extremities. 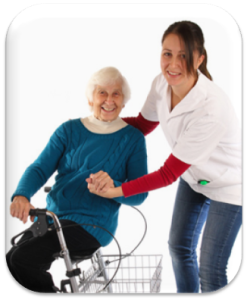 This will help the patient regain independence, starting with simple tasks like sitting upright in bed, and getting out of bed independently. These are essential aspects of a happy, healthy and independent life. 2 – The importance of environmental awareness – Simple measures such as stroking the skin or tapping the joints can help regaining awareness of the senses. Orientation between the body and surrounding objects is often impacted. There are things that some of us take for granted in life. It’s part of the fabric of human nature. A stroke can rob an individual of fundamental things like muscle control, sensation and balance and shatter the patient’s lifestyle. 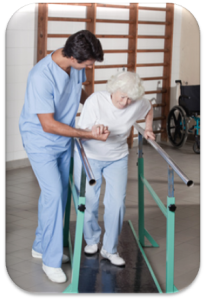 Physical therapists help patients to cope with the aftermath of the neurological impact of a stroke. They provide the patient (and the family) with the tools (and the courage) needed for recovery. If you or someone you know has any movement problems, then don’t hesitate to contact us. As your chosen experts of movement and function, we appreciate the opportunity to serve you. You’ll be amazed with what physical therapy can do for you. Regular sessions with a therapist can help every individual live life to the fullest. Don’t let a stroke (or any limitation) hold you back. Reach out to us. We will help you get the freedom you deserve by helping you get rid of pain and limited motion. This entry was posted on January 18, 2016 at 6:18 pm. You can follow any responses to this entry through the RSS 2.0 feed. You can leave a response, or trackback from your own site.